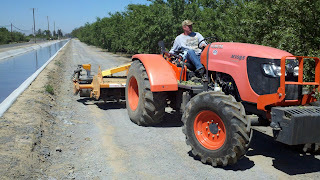 We have hired a rototiller to come in to loosen up and smooth the soil. We have a lot of "sink holes" where the soil has fallen in to cavities formed way back when the ground was ripped. The rototiller does a nice job of loosening and smoothing. In the worst areas the holes are too deep to fill in and we will follow him with our orchard "float" and roller. 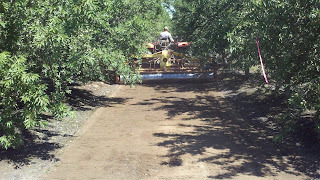 We will end up roto-tilling probably more than half of the middles.